What can couples expect throughout the couple therapy process? Couples therapy is an opportunity for couples to transform their relationship; a process that helps couples take the most painful experiences and uncover the invaluable lessons hidden deep within, leading to greater love and trust. Couples therapy is an invitation to learn how to practice authenticity and vulnerability by accessing one’s internal strength and courage. All growth, healing and transformation require courage. For relationships to be vibrant and strong, healing past hurts and cultivating growth through transformation is essential. What can couples expect when working with me? I bring my heart and soul to my work. I strive to be authentic and fully present in every session. 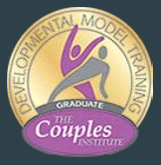 I use my specialized couples therapy training and 20 years of therapy experience to help couples create a deep sense of being mutually understood, respected and supported. I am committed to doing my own ongoing growth and throughout different times in my life, experienced the pain and joy of transformation. What is required of couples when working with me? In return, I expect that couples come to therapy with an open heart and open mind. Couples therapy requires that each partner dives deeply into understanding their strengths and limitations. It requires taking an honest inventory of how each one contributes to the challenges and struggles within the relationship. We are all experts in what our partners do “wrong” and in knowing how our partner should change. But this focus only leaves us feeling powerless, frustrated and discouraged. Focusing on self rather than other, allows us to cultivate and create the kind of relationship we truly desire and long for. It is only in our honest and ongoing self reflection and exploration that we are able to access our internal resources and cultivate the potential to become our best selves. 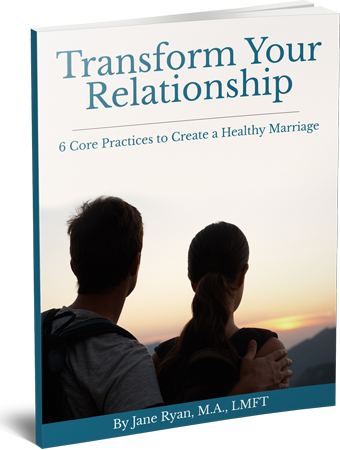 When each partner focuses on their own contributions to relationship dissatisfaction, and begins to commit to becoming the best they can be, relationships are healed and transformed. Initial Discovery Call: This initial contact between therapist and clients helps to clarifies what the couple is seeking as well as specific issues and expectations. The purpose of the Discovery Call is to also clarify the couple’s readiness to commit to the therapy process. Are both partners ready to focus on their own contributions to dissatisfaction, conflict and pain? Is this couple aware that therapy is an investment of time, money and committed effort to growth? Are they willing to take risks for the sake of growth? Does this couple see that their active engagement in their relationship now, increases the chances that they will successfully create the kind of relationship they are hoping for and desire moving into their future? Have the partners considered what may happen if therapy is not pursued at this time (increased frustration, slowly disengaging, unresolved hurts turning into resentment and anger, unable to recover and repair)? Intake Appointment: The focus during the intake appointment is on developing a strong foundation for a positive, respectful client/therapist relationship. During this session, the therapist collects information on the couple’s relationship history, discusses each partner’s perspective on current issues and pain points, identifies problem patterns and sets the stage to help the couple envision a more satisfying, positive, loving and intimate relationship. Sessions Two and Three: Session two and three are individual sessions for each partner. During these sessions, we discuss the family of origin background and significant life experiences and events which are influencing issues and interactions in the current intimate relationship. What are the triggers from past pain that are getting in the way to the couple establishing a secure attachment and an interdependent, strong and reliable connection with each other? Session Four: I provide an assessment that integrates all the information from first three sessions. We agree to and clarify the issues to be addressed in therapy. We discuss how these issues are being exacerbated by each partner’s unique challenges and life story. We discuss how the couple’s interactions fuel feelings of being misunderstood, unsupported and not listened to. Each partner identifies and agrees to goals for themselves; what they want to stop doing and what they want to start doing. The couples therapy process mirrors the process of intimate relationships. Just like intimate relationships, in order for therapy to be satisfying and feel as if it makes life better, couples need to put in energy, effort, time and money. Sometimes this reality can feel overwhelming. It is not unusual for couples to feel disillusioned when the therapy process requires things that may initially create anxiety, fear, or discomfort. Whether the concern is about what you will have to do or say in sessions, or how you will fit it into your busy schedules or how you can afford to pay out of pocket for this (most insurance plans do not cover couples therapy), it may be helpful to consider what your relationship and your life will be like in a year from now if you do not address your concerns and unhappiness with the help of an experienced couples therapist.